1 Is it possible to attract money and wealth? Is it possible to attract money and wealth? 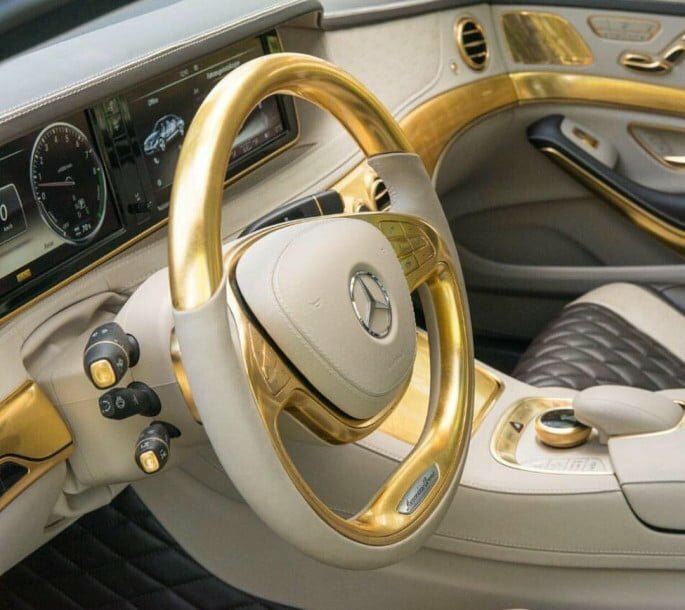 I think all of us would like to live a life of luxury and prosperity, not having to worry about the fact that at some point we will run out of money or lose our job. Unfortunately, there’s very few that could boast about having such a life. Some of them wallow in wealth, while others experience pain and poverty. Does this mean that you can consider some people as better than others? Why do some people prosper in their professional life and not others? Can even a poor person achieve success in life and become rich? It turns out that yes! Most millionaires started from scratch, struggling with poverty and a lack of education. Warren Buffett, an American stock market investor (US $53.5bn), started by delivering newspapers for 175 dollars a month. John Davison Rockefeller, considered as the richest man in history (his estate after death amounted to nearly 663.4 billion USD!) took his first job as an assistant accountant for 50 cents a day. Tyler Perry – actor, director and screenwriter who in the past was a homeless person became a multimillionaire. John Paul Dejora, a multimillionaire and co-founder of a hairdressing cosmetics brand, started to create the brand with only 700 dollars, having been homeless in the past! Murray Smith, a multimillionaire, business development expert, owner and co-owner of many companies and co-author of the book for beginner businessmen “The Answer” was in his youth considered a person with a delayed development and had to study in a special school. His first job was cleaning underground channels. John Assaraf, a multimillionaire, co-author of the famous “The Secret” and “The Answer”, Murray Smith’s business partner came from a poor neighborhood and often got into trouble when he was a child. Let’s get to the bottom of the topic. Can you really bring wealth into your life? After the premiere of the film “The Secret”, millions of people became aware of the principle that we can call the “Law of Attraction”. We will not write about the operation of this law, because this topic has already been discussed some time ago (see introduction to the law of attraction). Based on observation and having many books, articles and movies watched with the history of different people who have achieved success, I can say that it is possible to attract wealth, but most of us do not achieve this, because it’s blocked internally inside us. 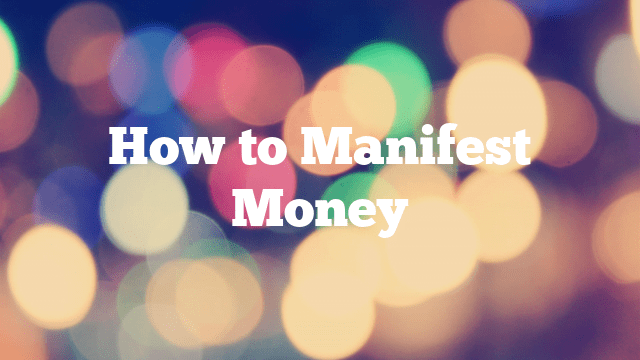 What should we change about ourselves first, so that we can unlock ourselves internally and bring ourselves closer to manifesting money? 1. Change your attitude towards money – some of us perceive money as payment for hard work. When we collect money from a bank or ATM, we often realize how much effort we have put in to earn it that our thoughts can create a connection in our mind between money and negative feelings, and with time we can recall these thoughts almost every time that that we hold cash in our hands. Start to love money. With a smile on your face, pick it up and believe that it can make you happy. Give your thanks for it. Imagine how it’s coming to you with ease, even multiplying in a strange way. It is known that money can’t buy everything, but why should we stick to saying that money does not bring happiness? If you still perceive money as something evil, then think about what you can do with it. Will you help your family that you love so much? Will you give it to a sick person that needs money for treatment? In this way, with time you can realize that by having more money, you are able to do so much more good for others. 2. Get away from the awareness of being poor and start believing in success – everyday contact with information about poverty, high taxes, the crisis which we come in contact with whenever we browse the internet, read newspapers or watch TV over time makes up aware that we are living in a country in which the average person may have difficulty achieving success or even maintaining a decent life at an okay financial level. Such information does not impact us positively and only demotivates us, which is why our faith in success can be quite low. It is best to cut yourself off from such negative information and set yourself a specific goal that you want to achieve. Do you think that the greatest millionaires have come to wealth by focusing on poverty, fears, crisis and high taxes? They just acted, always walked forward with a specific goal in mind that they wanted to achieve. If you believe in your success, then in time people will appear in life that will explain to you why you cannot achieve it, letting you know that you are wrong. No one can stop you from succeeding if you really want it. Over time, those who discourage will be amazed with what you are able to accomplish. Take a step forward every day and if something ends in failure, get up and try again. If you believe in success, you will achieve it. You must love what you do. 3. Create your own vision of the goal – start your journey to wealth from your own thoughts. Start by creating a vision of your dream in your head. If you are unemployed or dissatisfied with your current job, imagine yourself in a position that suits you best. Feel the way you sit down on a soft leather chair in your office, as the CEO, turning the company into big money. Imagine your future office with fine detail. Focus exactly on your vision and think about where you should go to achieve this goal. Perhaps now you will think “this is impossible!”. Is it possible for a homeless person to become a multimillionaire? Can you earn 50 cents a day to become the richest man in history? Do not take “no” for an answer! If you believe in your success, you will achieve it! 5. Jealousy – stop envying others for their success and wealth! These thoughts can lead you to negative thinking or cause negative feelings when you remind yourself that, for example, you work harder than your neighbor but he earns much more than you. The law of attraction works the best when the path to wealth runs in internal harmony, so instead of envying someone else’s success, start congratulating others on their achievements. Only 1% of people are able to take the risk needed to achieve financial success with their own business. The rest (99%) prefer to work for this 1%. You can work like 99% of the society, working for local companies with an average salary, but you can also take the risk and join that 1% of people who have achieved financial success. Believing in your success lets you believe that the risk you took will pay off. 1. Anyone who believes in their success and has a designated goal – will achieve it. 2. Believe that money does not need to be a result of hard work. When you start to love what you do, work will become a pleasure. You need to love what you do. 3. Receive the money you earned with joy, be thankful of it. 4. Realize that thanks to having money you can do a lot of good. 5. Focus on success and not on taxes and financial problems. Let the vision of success be strong enough to overcome all adversities. 6. Act every day. Even if you do not know what to do or when you do something wrong, all you have to do is act and in time you will find the right way. 7. Have a clear goal and a strong vision of success. Visualize this success as much as you can. 8. Do not be discouraged when others try to discourage you. Imagine that they will be congratulating you for your success after some time. 9. Work can really make you happy! 10. Say clearly to your subconscious: “I am going to succeed!” Repeat this every now and then. 11. Believe that money and wealth can come from various sources. 12. Instead of being jealous of other people’s success, wish them the best. 13. Be one of the 1% who took the risk and achieved success. 15. After you go to bed, before falling asleep repeat the words “wealth, success” in your thoughts until you fall asleep, so that these words grow strong roots in your subconscious and attract you towards success and wealth.